In August of 2012, physicians at Duke Children’s diagnosed Jackson with Pulmonary Arterial Hypertension (PAH), a life-threatening and currently incurable condition. Jackson has high blood pressure in the arteries that connect his heart to his lungs—over time the arteries narrow, and it is harder for the heart to pump blood to the lungs. This illness is chronic and will worsen over time, so Jackson makes regular visits to Duke for lab work, echocardiograms (heart ultrasounds), and similar tests. His caregivers at Duke Children’s have become like family to Jackson and his family. Jackson, now seven, doesn’t let his condition slow him down! He practices karate and is an orange belt. He also loves watching football and cheering on the Dallas Cowboys and Carolina Panthers. Jackson is an honorary member of the Duke soccer team through a program called Team IMPACT, which pairs children with chronic illnesses with college athletics teams. 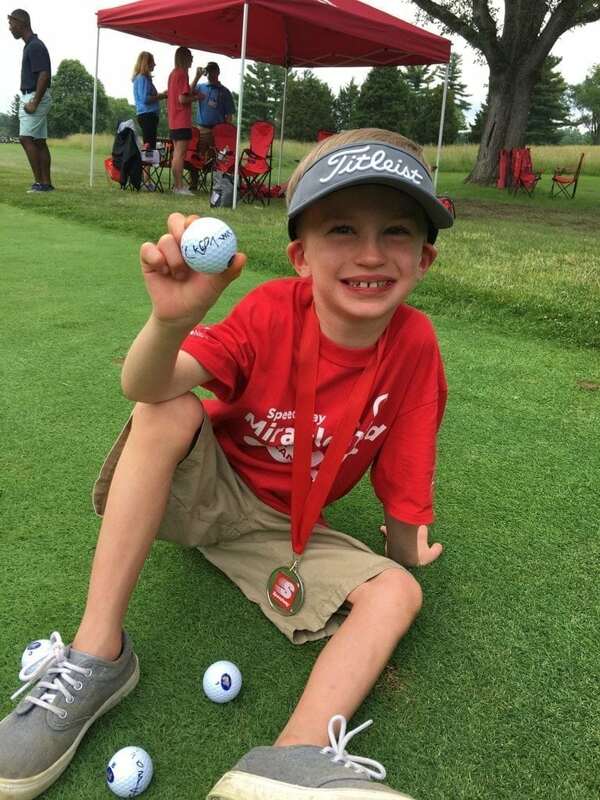 Jackson is also a 2018 Speedway Miracle Kid, and recently got to attend the 27th annual Speedway Miracle Golf Tournament in Dayton, Ohio! Jackson had an amazing time high-fiving all the golf players and selling golf balls as part of a special contest! Jackson will need special healthcare and monitoring for his whole life, but support from people like you will ensure that he and children like him receive the best possible care. Thank you for supporting the patients, physicians, nurses, and staff at Duke Children’s!